Out There Creative Media is a full-service communications firm that specializes in building a presence for your business using traditional and digital media and customized strategic outreach including events and corporate partnerships. Through target markets for businesses and individuals in fashion, beauty, food, art, law, lifestyle tech, and entertainment industries, OTCM will help you gain visibility, achieve communications goals and cultivate new business and customers. Our strategic, personal approach is supported by OTCM’s wide range of Public Relations and Marketing capabilities and access to an impressive and sophisticated network of talented well-connected individuals. Founder, Sheryl Raskin parlayed a successful career in broadcasting where she worked at CNN, WPVI-TV and WMGM TV, AM & FM to build a respected boutique Public Relations firm in 1999. 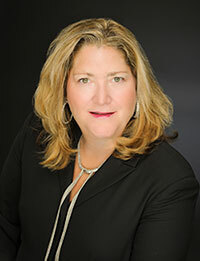 Ms. Raskin has over 25 years of combined experience in the communications field. Sheryl has a BA in Radio, Television & Film from Temple University.